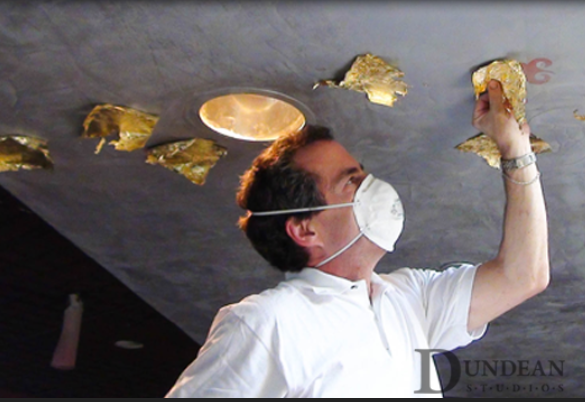 Dean Sickler runs a successful and well-respected contracting business that specializes in architectural decorative finishing, both residential and commercial. From restoration of 18th century murals to the application of decorative veneer plasters, his expertise has taken him and his artisans around the world restoring and developing finishes in any style from Antique to Contemporary. Dean has a degree in Art & Art History from the University of Toronto and has worked/studied with a multitude of masters such as Emilio Cianfoni (Chief Conservator-Vizcaya, Miami), Yannick Guegan (Handbook of Painted Decoration-France), Patrick LaHeyne (The Power of Illusion-Belgium), Pierre Lafumat Joanne Day (Day Studio, San Francisco), Grace Darby (Isabel O’Neil Studio) and many others. With over thirty-five years of work in the decorative field, Dean has been teaching workshops and lecturing across the country in color, design and finishing. 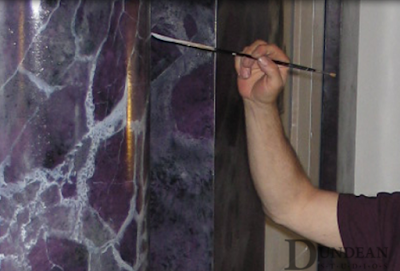 He is proficient in the crafts of woodgraining, marbling, gilding, painting and restoring murals and glazing. With contacts in most of the major cities in America and many foreign countries, this enables him to find the resources and artisans to work virtually anywhere. He does, however prefer to work in the Greater NY Metro area. He has a special interest in the restoration of aesthetic and/or historically important projects. A recent commission involved finishing 12 250 year old bleached, carved white oak panels originally from Fontainebleau palace to match existing panels. An on-going commission(2013) involves stabilizing, repairing and restoring 55 painted-on- plaster panels of faux marble with trompe l’oeil moldings. These were originally painted in 1857 and had been covered in wallpaper for over 100 years. He has been helping the profession by taking leadership positions in the PDCA, the PDPA, and belongs to other trade associations like IDAL and ICAA. Dean is the author of the book: The Keys to Color: A Decorators Guide to Coloring Paints, Plasters and Glazes. Dean’s expertise in wood finishing, plaster and color design are very much in demand but he is always interested in challenging commissions and projects. 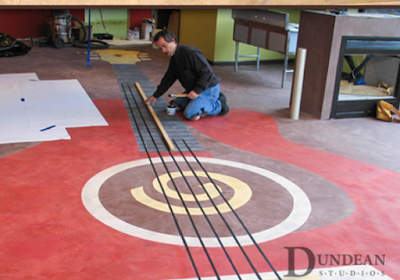 Dean is certified as a Master Installer/Instructor of Texston Venetian Plasters. Dean will teaching a Marble and Woodgrain class at the September 2016 Faux Retreat and two classes (Business and Metal Leaf and Patination) at the 2016 industry ArtFusion Event.